At Northside Veterinary Clinic, your pet's safety and comfort are our top priority so you can be sure that your pet will receive safe anesthetic and excellent surgical care. We perform a thorough physical exam on your pet before administering anesthetics, to ensure that a fever or other illness won't lead to a complication. Pre-surgical blood testing for proper organ function is also recommended before putting your pet under anesthesia. Testing can significantly reduce medical risk and ensure pet health and safety. At Northside, we carefully determine the type and amount of anesthetic to be used depending on the health of your pet. 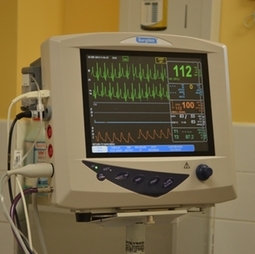 Throughout the surgery, all patients are monitored with technologically advanced equipment including pulse oximeter, blood pressure monitor, and respiratory monitor. Surgical patients are also placed on intravenous fluids administered through an infusion pump and kept warm throughout the procedure. Pain medications are also administered during and after surgery to minimize stress and pain. All of our spay and neuter procedures include a post surgical therapy laser treatment to minimize pain and inflammation and to enhance the healing process. All of our routine surgical cases are on an out patient basis, which means your fur babies are discharged the same day and can recover at home. Should we deem that more extensive surgery be required for your pet, we will refer you to a board certified surgeon at one of the local referral hospitals.